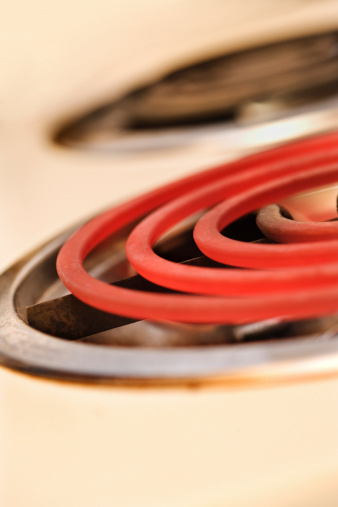 The longer burnt grease sits on your enamel gas stove burners, the more difficult the grease will be to remove. 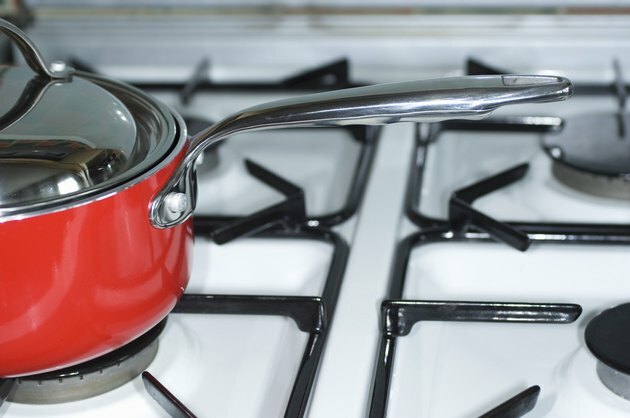 Every time you use the burners, the grease burns on the enamel again -- and additional grease can build up on top. The good news is, stove-top enamel is tough, so you're not limited to using gentle cleaners. Even so, you should start with gentle, nontoxic methods and products you probably already have on hand, before you try harsher techniques. Gas burners seem like grease magnets. Apply heavy-duty dish soap directly to the burnt-on grease, and scrub the burner with a damp sponge to remove as much of the surface grease as possible. Sprinkle baking soda on the burnt grease. Moisten a sponge with white vinegar, and scrub the area, working the baking soda into the stain. Apply cooktop cleaner -- sold near oven cleaners -- onto the enamel. 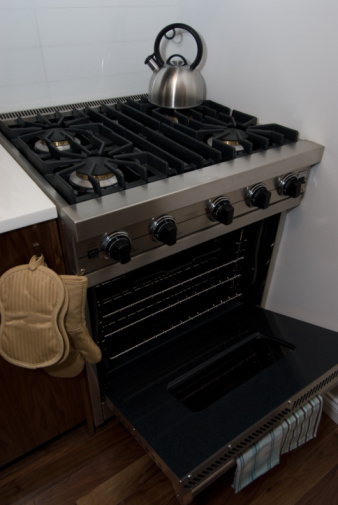 Use cream or gel cleaner, not aerosol, on a gas stove top. Scrub any remaining grease away with a nylon scrubber. Rinse the stove burners with a wet sponge.